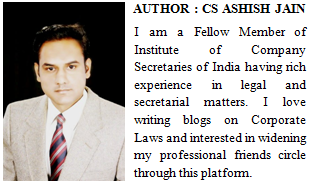 As per the provisions of Section 94(1) of Companies Act 2013 the registers required to be kept and maintained by a company under section 88 and copies of the annual return filed under section 92 shall be kept at the registered office of the company, Provided that such registers or copies of return may also be kept at any other place in India in which more than one-tenth of the total number of members entered in the register of members reside, if approved by a special resolution passed at a general meeting of the company and the Registrar has been given a copy of the proposed special resolution in advance. RESOLVED THAT pursuant to provisions of section 94 of the Companies Act, 2013 (including any amendments thereto or re-enactment thereof) (the “Act”) and subject to approval of shareholders, the consent be and is hereby accorded for keeping the registers required to be maintained under section 88 along with copies of annual return prepared under section 92 at __________ instead of the registered office of the company. RESOLVED FURTHER THAT Shri _______ of the company be and is hereby authorized to file the copy of the resolution proposed to be passed in the general meeting with the Registrar in Form no GNL-2 within the prescribed time and to do all the acts, deeds and things which are necessary to give effect to the above said resolution. 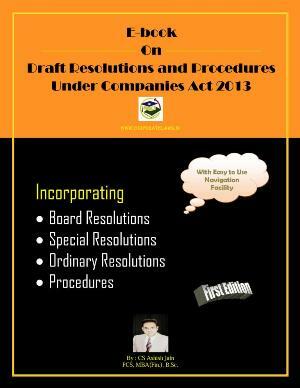 Thanks for sharing these list of draft board resolutions under companies act 2013. A lot of people will benefit from this list especially the students from procustomwriting.com who are currently completing their projects.